Here is our list of fun things to do in Freeport, Bahamas, in 2019. Freeport is a vibrant and fun city located on Grand Bahama Island - one of the two most popular islands in the Bahamas. Freeport is filled with culture, sports and beautiful natural venues. Explore by boat, catamaran, bike or Segway. Experience the colorful night life and rough it on an ATV. Take the family on a bonding experience to swim with dolphins. Create your own perfume blend and buy exotic straw hats so you look like a local! Most of all, relax on a sun-kissed beach in Freeport, and rejuvenate your body and soul. Read on about tours in Freeport, activities, and water sports. Scuba or Snorkel? Kayak or WaveRunner? Whichever you prefer, you are to take part in a variety of fun things to do in Freeport's waters. Hit the tropical waters and enjoy a high-speed thrill ride on a WaveRunner. 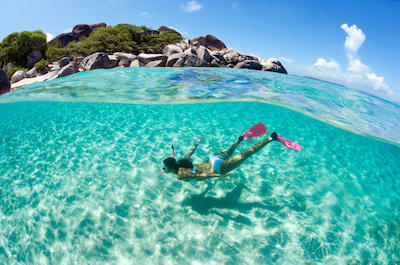 Choose from a variety tours and snorkel the incredible Rainbow Reef and Treasure Reef. For those interested in adding a cruise, no problem. Set sail on a catamaran, airboat or party boat. 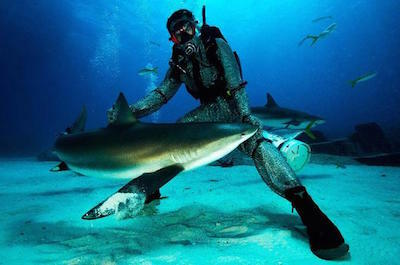 Make your vacation memorable, by taking a dive with magnificent sharks, and get up close and personal with them. For those who prefer to interact with friendlier creatures, take a dolphin swim or feed brown stingrays in their natural environment. Cruise the crystal clear waters of the Bahamas while enjoying the warm sun on your skin. 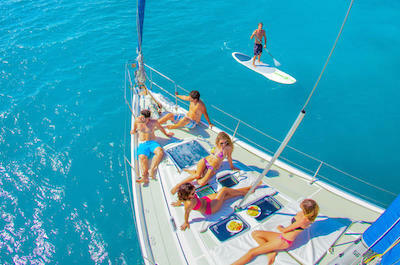 Cruising the waters by catamaran, sailboat, airboat and glass bottom boat are just some of the things to do in Freeport. For those who love to be in the water, grab your snorkeling gear and get ready to experience incredible marine life including rare colorful fish and the great barracuda. For the hungry, spend a relaxed evening on the Freeport Dinner Cruise. Enjoy a surf and turf dinner complemented by wine, rum and cocktails. Catch the magical sun setting across the bay with a dance party on board to end off a beautiful evening. Want to catch a tan? You are in luck. Day Cruises are some of the most enjoyable things to do in Freeport. Grab your friends and set sail on the Freeport Party Boat Cruise. Feel the spirit of the Bahamas with island-inspired music while taking in the sights of the Bay. Enjoy snorkeling, a delicious lunch and open bar plus a sneaky trip to a secluded beach. Soak up the sun on the shore before hopping back on the boat to return to Freeport. Take the whole family on the Fantasia Snorkel Sea Safari, where you can snorkel, rock climb and slide on a double-decker catamaran. 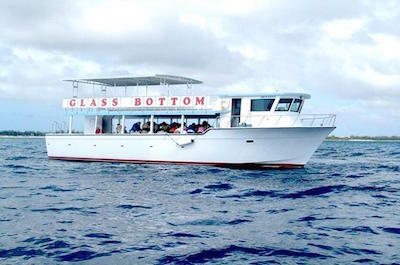 Then take a day cruise on a glass bottomed boat to view the magnificent marine life while remaining dry! This is by far one of the best tours in Freeport. Cook up a storm and learn how to make a traditional Bahamian meal. With the Bahamian Culture Tour, cooking or craft lesson included, get to know the delicious side of Bahamian. It is just one of the great things to do in Freeport. 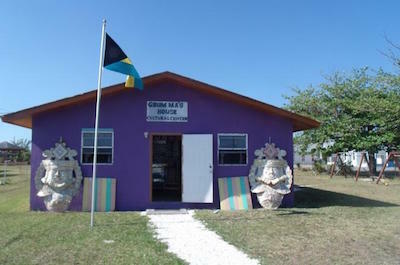 Head down to Grum Ma's House and immerse yourself in the Bahamian culture by flipping through photographs, books; analysing paintings and getting up close to traditional crafts and Junkanoo costumes. At the end of the tour, enjoy a cup of traditional Bush Tea. Interact with locals and then head off to a rustic retreat overlooking the bay and enjoy some Bahamian cuisine prepared for you by Chef Princess Dianna with the Taste of Bahamas Cultural Tour. Grab your family and take time out from the hustle and bustle of the city. This unique experience is another fun thing to do in Freeport. Visit Sweeting's Cay, east of Grand Bahama Island. Relax on the beach or brave the waters via kayak. Cycle through the quiet village or spend the day relaxing with fishing rod in hand while the sun warms the shore. See turtles in their natural environment and discover the history of the Bahamain culture, you are sure to feel like part of Jack Sparrow's crew from Pirates of the Caribbean. Explore one of the islands oldest areas and take in the breath-taking beauty Sweeting's Cay is known for. Experiencing the city by night is one of the fantastic things to do in Freeport. Stroll the outdoor Bazaar and enjoy some local beverages from the island brewery. For the ladies, pick your favourite perfume or blend your own at the Perfume factory. The market is filled with rich cultural souvenirs for your friends and family back home. For the party animals, head over to Taino Beach for a beach party style. 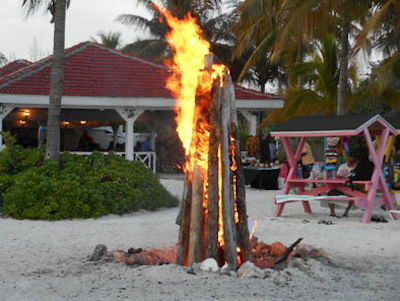 Enjoy Bahama Mama Cocktails and feast on the delicious buffet around a massive bonfire, while being entertained by a DJ, fire dancer and fun competitions. For the more conservative, enjoy Bahamian cuisine in a relaxed atmosphere in a small group on the Taste of Bahamas Tour. It's time to experience the great outdoors. Swimming with dolphins a childhood dream? 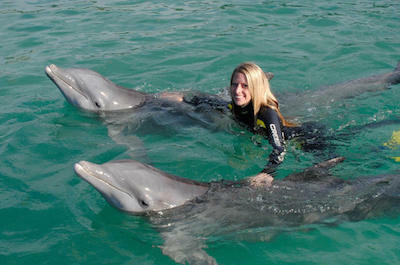 Interacting with playful dolphins is just one of the amazing outdoor things to do in Freeport. For avid nature lovers, combine hand-feeding brown stingrays with snorkeling the glorious reefs. Join an ATV Tour along the Grand Lucayan Waterway, a trail of fun turns and twists through the tropical vegetation. Take a stroll along the coast, and discover Ben's Cave, an incredible underwater cave system that leads to the ocean, this is one of the top Freeport activities loved by so many tourists. End off your day at Gold Rock Beach with spectacular views of the setting sun. 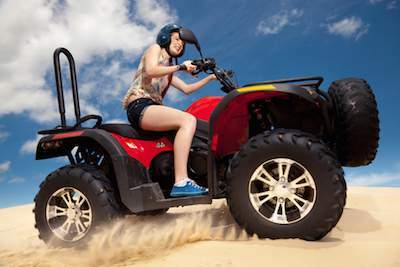 It is time to go off-road and experience the ultimate off-road tours in Freeport. Climb aboard an all-terrain vehicle, ATV and cruise along Grand Bahama's exceptional beaches. Breathe deeply and veer off route into dense forestry. Drive through the rich tropical nature of the Garden of the Grove, and spot some indigenous wildlife. Arrive at the beach outlook point and take a moment to admire the views. If ATV is not for you, climb onto a Jeep. The Jeep and Kayak Adventure is one of the great things to do in Freeport. Drive off-Road through Lacayan National Park. Switch your ride for a kayak and paddle through the Mangrove forest. Look forward to a scenic traditional picnic on the warm shores of Golf Rock Beach. Get up-close with diverse wildlife. Dolphin interaction and stingray feeding, are two of the things to do in Freeport that will thrill nature lovers. Connect with the playful Bottlenose dolphin while learning all about the dolphin in its habitat and how to conserve this amazing creature. Don't forget your camera, for a fishy kiss picture. 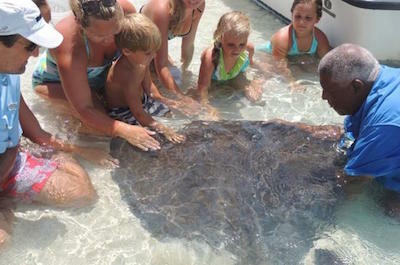 Spend the day in a Stingrays natural element then head off to discover a sunken boat wreck a short journey from the Cay. Be enthralled by all different types of marine life. Nature lovers must take the Bahamas East End and Lucayan National Park Tour to see Ben's Cave, an amazing underwater cave system that leads to the ocean. 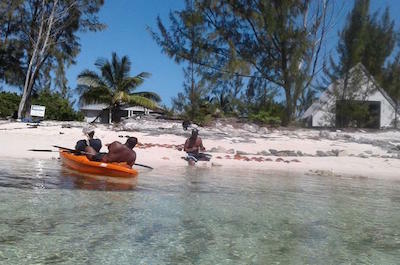 Spend the day touring Grand Bahamian with a variety of tours on offer. Explore the city by scooter or Segway, these are just some of the fun Freeport activities. Feel the wind in your hair as you take in the phenomenal scenery of the island. 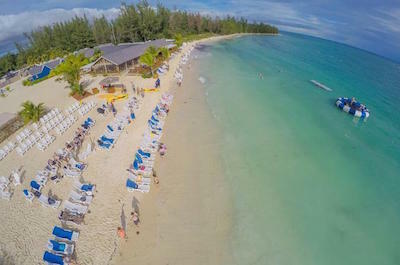 For the fun loving, pick up a day pass to the Bahamian Beach Club. Swim in the crystal blue waters, take up snorkeling, or join in on some fun beach activities. Join the Sweeting's Cay Full Day Tour to see the small townships in the rural regions and then enjoy a Scooter Tour around Freeport to admire the main attractions like the Lucaya Lighthouse, Mermaid Pond and Hawksbill Creek. Love the outdoors? 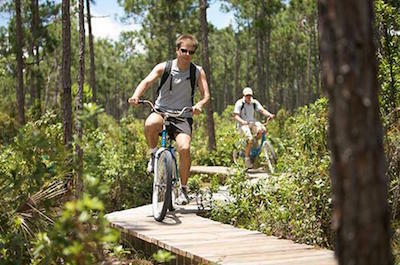 Biking tour is among wonderful things to do in Freeport, to experience its supreme nature. Hop on a bicycle and cycle through Lacaya. Cruise the supreme shoreline and fill your lungs with salty sea air. Stop off at the Garden of the Groves and take in all that nature has to offer. From rich wildlife to breath-taking waterfalls. Spot rare birdlife and exquisite butterflies. After all that riding, have lunch at the Garden of the Groves, you certainly deserve it. After lunch you will be transported back to your hotel to end off the perfect day. Dive down to the depths of the crystal clear waters of the Caribbean Ocean with a variety of scuba tours, one of the recommended things to do in Freeport. Discover the majestic world under sea level, with all that nature has to offer. From colorful reefs, tropical fish and majestic marine life. From beginner to experienced diver, there is a Freeport tour perfect for you. For new divers, your certified scuba instructor will teach you the basics of diving and safety principles. Head out to sea and enjoy an open-water dive. For those who wish to explore the deeper depths of the ocean, dive down 100 feet and explore Theo's Wreck or the Sea Star. Look out for hidden treasure! Feeling brave? This activity is not for the faint-hearted. Dive into the depths of the ocean and come face to face with one of the most mysterious marine creatures. This exhilarating activity is one of the best things to do in Freeport. Take a boat trip into the bay to Shark Alley dive spot and jump into the crystal waters with your experienced tour guide. The guide will coax the shark into a relaxed state making your interaction safe. You will be able to get an up-close look of a number of sharks. 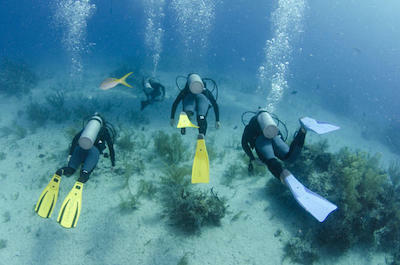 Do note that this activity is only for certified divers. Unwind and spend the day floating in the crystal clear Caribbean Ocean. One great activity in Freeport is to grab your snorkeling gear and wade out into the bay to discover all the rich marine life that the variety of reefs have to offer. There are a variety of tours on offer, from taking a sailing trip to Deadman's Reef at Paradise Cover, to experiencing a thrilling airboat ride to the shallow tropical waters, perfect for snorkeling. 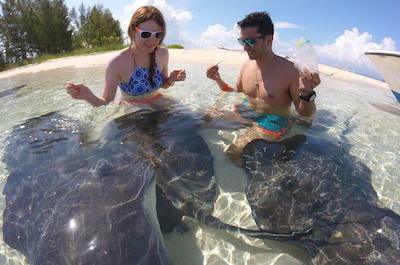 Other tours offer a fantastic opportunity to interact with the majestic marine life such as the stingray, with the opportunity to feed and swim amongst them in their natural habitat. Some of the greatest minds are in the sea. Get to know these incredible mammals up close and personal. Meeting a Dolphin is one of the most incredible things to do in Freeport in 2019. Choose from an interaction with dolphins at Sanctuary Bay, where the trainers will show you just how intelligent these creature really are, to taking a swim with them, racing alongside them and experience all that the water world has to offer. Want more? Head out to sea and play with the beautiful bottlenose dolphin in the open ocean. Experience the ocean from a dolphin's point of view and end the day with a fishy hug and kiss.